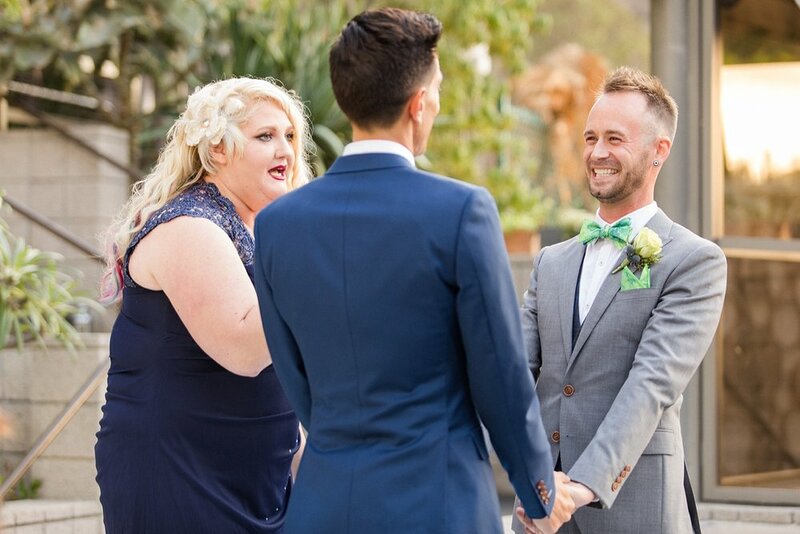 It’s no wonder CJ and Jeremy are a perfect fit. 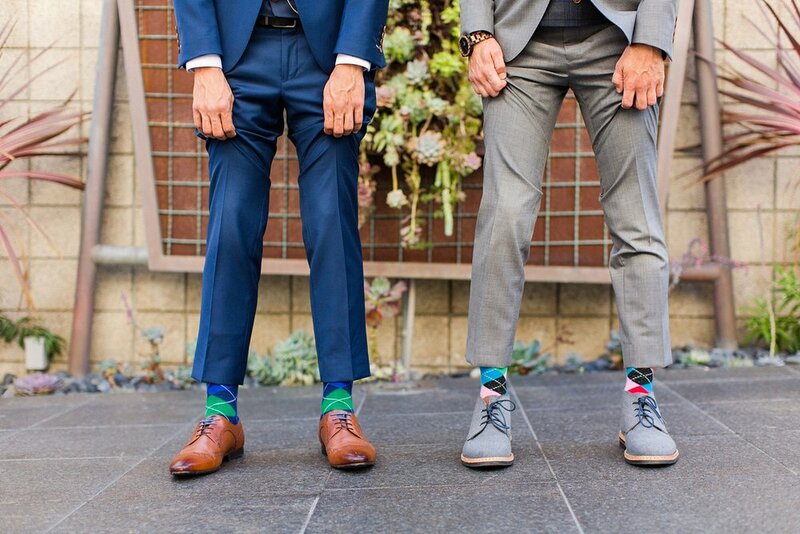 They are both men who pay attention to detail, they have great taste, a classy style with a slight twist of their original flare and know how important it is to laugh and have a good time together. 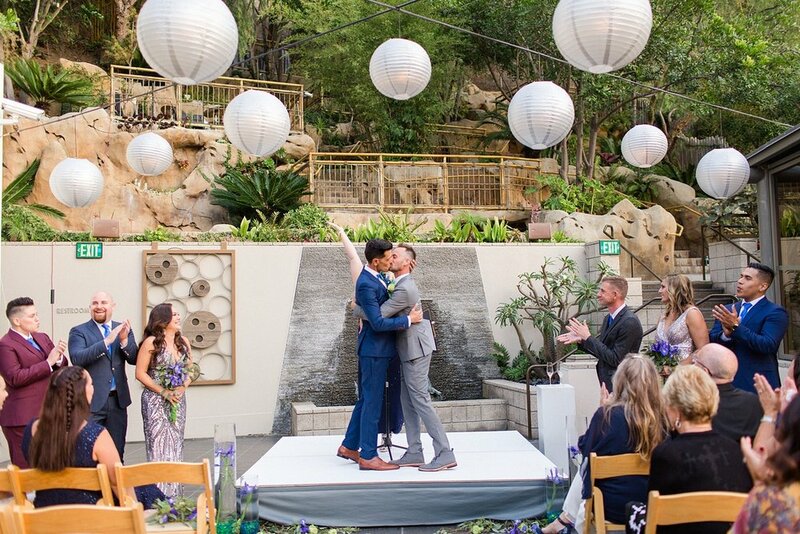 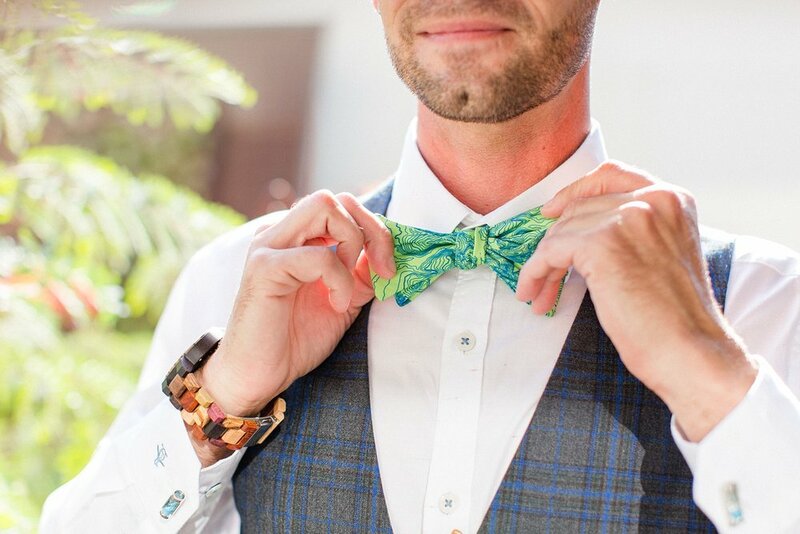 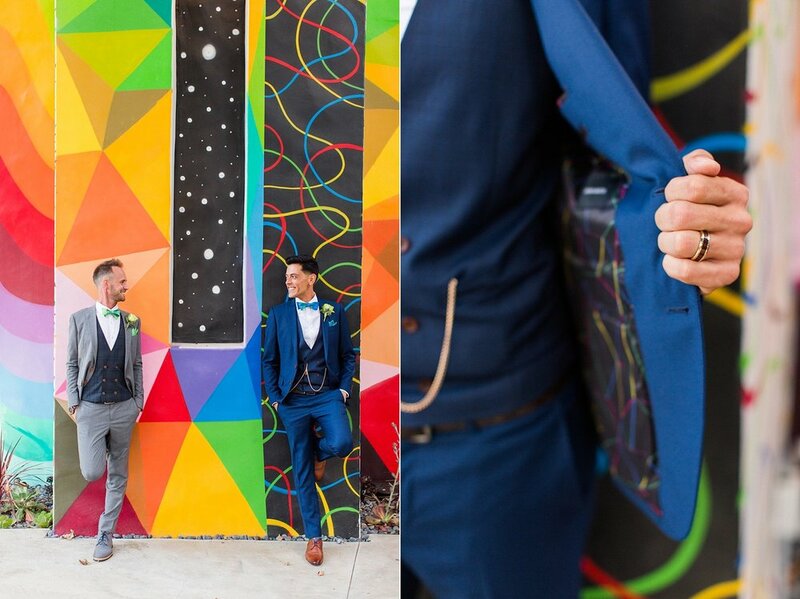 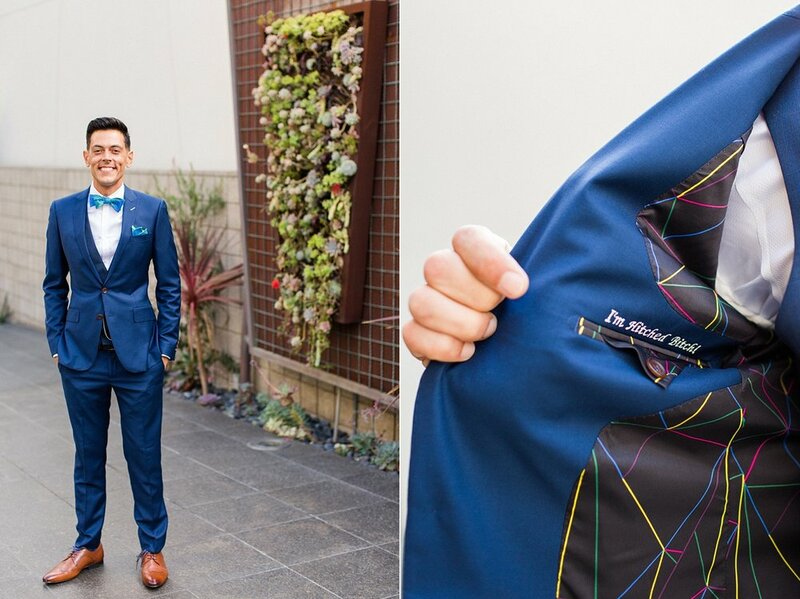 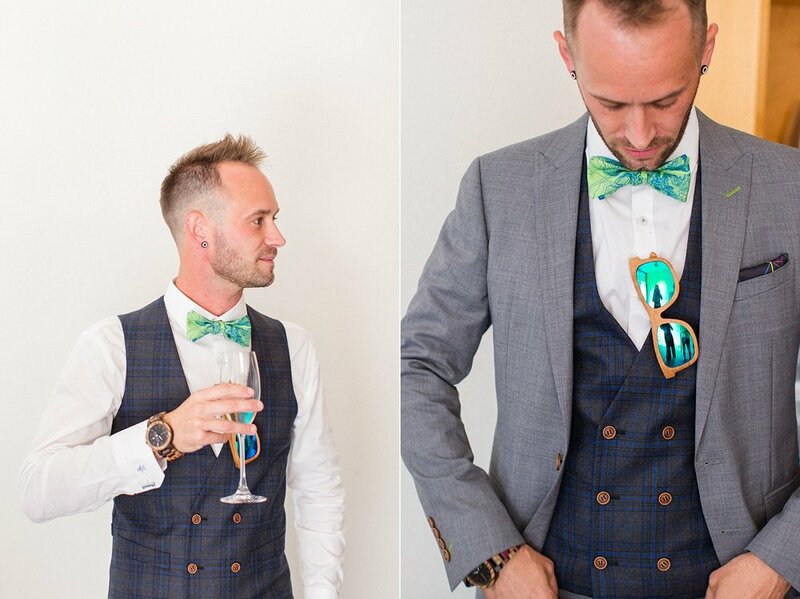 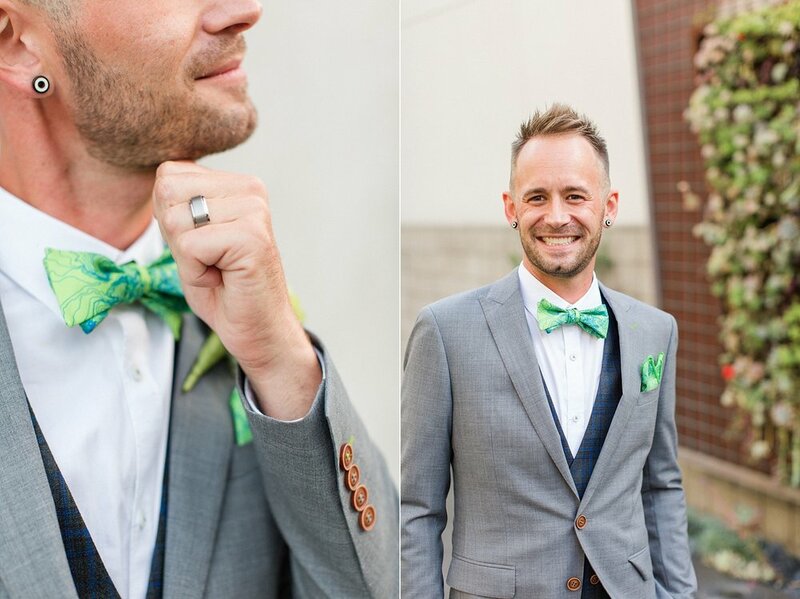 Their day perfectly represented their love, custom bow ties, coordinating lining of their suits and vests, his & his drinks, a fun “I do crew” (in lieu of a wedding party - we love it! 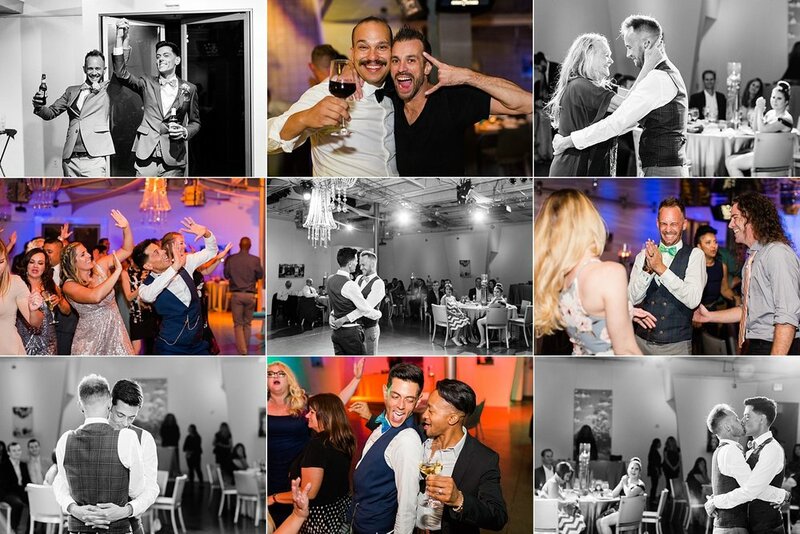 ), amazingly fun friends & family, all surrounded by the colorful venue that is Seven Degrees Laguna Beach! 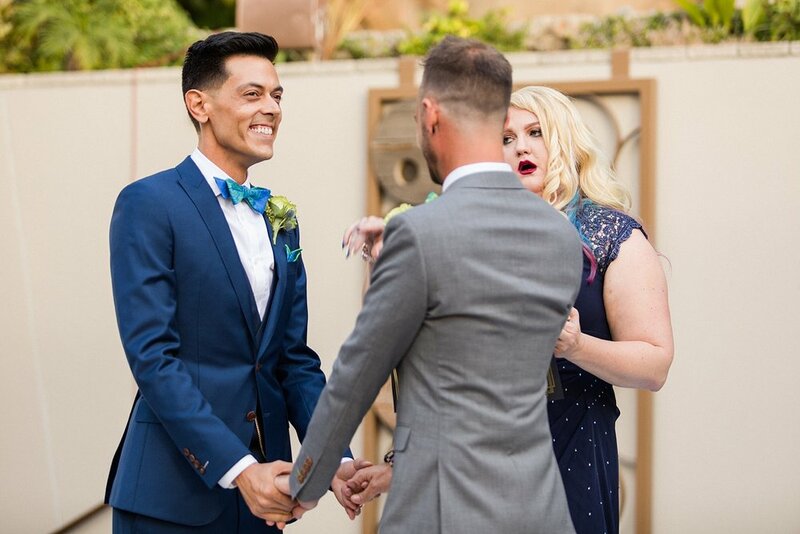 Congrats to CJ and Jeremy!